Baca Director Robert Barker and his wife Jessica Lawrence today gave a lecture on their self build project in Forest Hill South London, coinciding with National Self Build Week. The informative lecture aided those hoping to embark in their own self build and the pitfalls to be prepared for along way. The talk was a big hit with the Grand Designs audience as many people who visit the Baca stand are looking to engage with their own self build project. 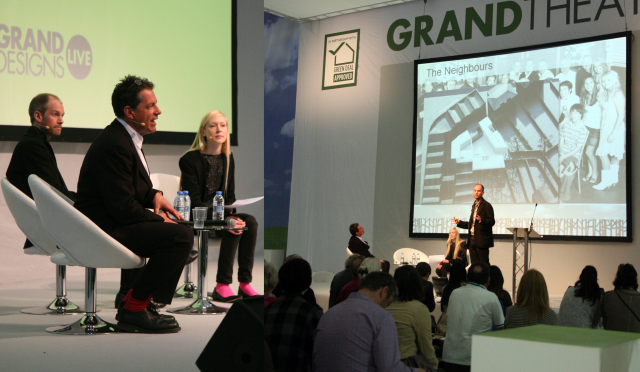 Robert’s self build talk is the final of this year’s Baca Grand Design Live talks. We look forward to returning next year.